Christmas Card Designs | They’re Here! They’re finally here! After months of brainstorming and designing, the holiday collection is live in my Etsy shop. It’s complete with card designs, as well as gift tags and enclosure cards. **As you’re browsing the collection, something that you should be aware of is that the wonderful, talented Lele Griesheimer gave me the freedom to use her images in my photo cards. If you haven’t checked out her photography site – Lele Fain Photography – then do it now! I’m so grateful that Lele trusted me with her beautiful images and I hope that I did them justice! Each card is fully customizable with your images and text. Purchasing the digital file and printing it yourself is always an option, but if you opt to use my printing services you can choose to have a solid color, a fun pattern or another photo on the back for no additional charge! Smooth, linen or pearl are your standard paper texture choices – but you may also upgrade to bamboo or cotton. Features such as rounded corners and pre-printed return address labels are also available. See each listing for further details, pricing and ordering information! Each enclosure card or gift tag is printed on Bright White or Ivory, 80-lb. recycled card stock and comes in sets of twenty-four. You may choose one design or combine all of them to complete your order. Each design can also be customized into a 50-piece set of stickers! See each listing for more details on ordering and pricing. If you have any questions, feel free to email me or leave a comment. I hope that I can help you with a Christmas card this year! 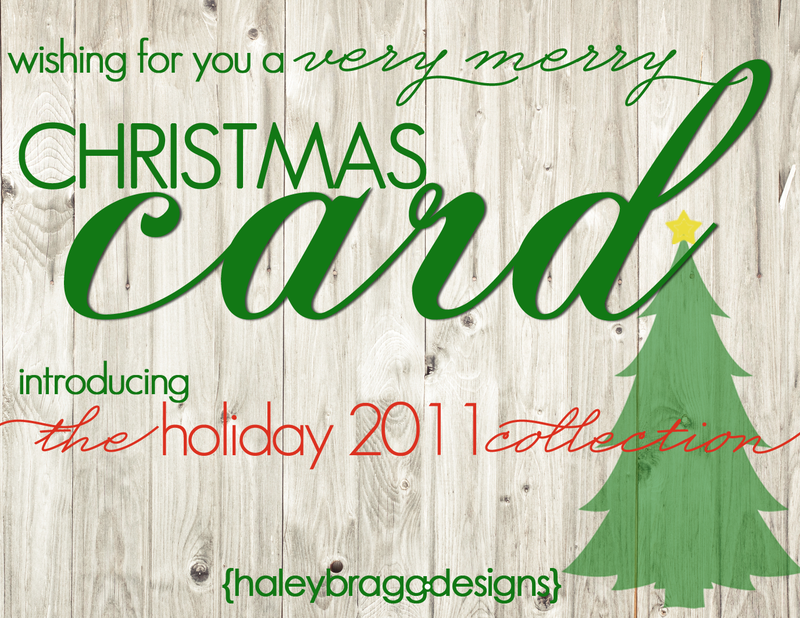 ← Nashville Card Design | Coming Soon, Holiday 2011! I received your card in the mail and can’t tell you how happy I was to get it! Perfect timing, too! We were just getting ready to buy our Christmas cards. I’m just waiting on my husband to decide which one he likes best and then will be sending you my order. Such BEAUTIFUL designs and talent. Love it all.